This Liver Cancer Awareness Bracelet is shown with green crystals and sterling silver beads. You choose the crystal colors during the ordering process below. You also choose the toggle or lobster clasp. A lobster clasp is shown. 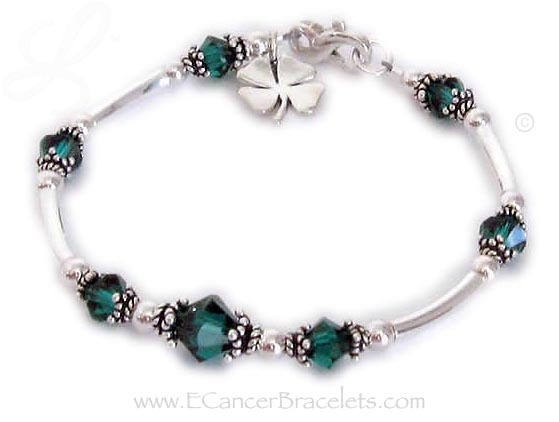 This bracelet comes with a sterling silver ribbon charm (a Shamrock charm is shown). You may add additional charms - see options below. If you would like to switch out the charm contact me to place your order. 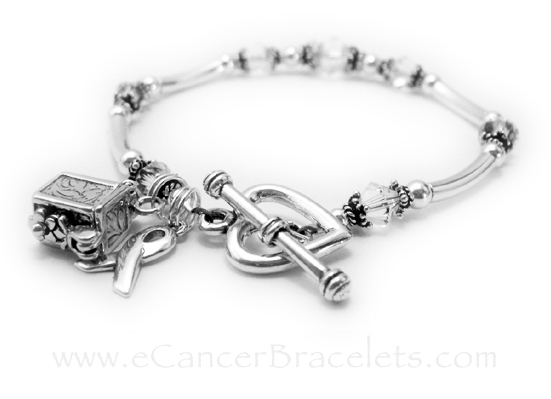 This Lung Cancer Awareness Bracelet comes with the Ribbon charm shown. They upgraded the clasp from one of my free lobster or toggles to a Heart Toggle Clasp and they added a Prayer Box Charm to their order.